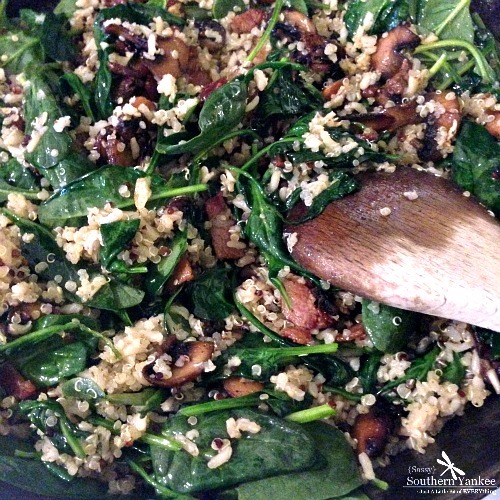 Bacon, Mushroom and Spinach Quinoa is the perfect weeknight meal. 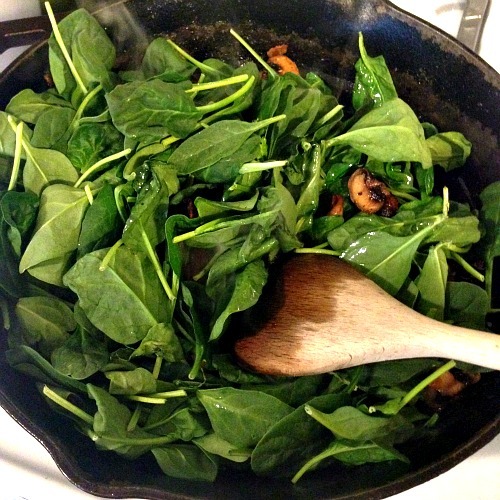 Smokiness from the bacon pairs perfectly with the caramelized mushrooms and fresh spinach. This is a quick and easy meal that won’t weigh you down. I had this Rosemary & Olive Oil quinoa Blend in my cupboard for the last 6 months, and just didn’t know what to do with it. Now that I’ve made this Bacon, Mushroom and Spinach Quinoa I have no idea why I waited so long. I’m headed back to the store to stock up on more quinoa! To get things started cook the quinoa blend according to package directions. While the quinoa is cooking you can start the rest of the meal. 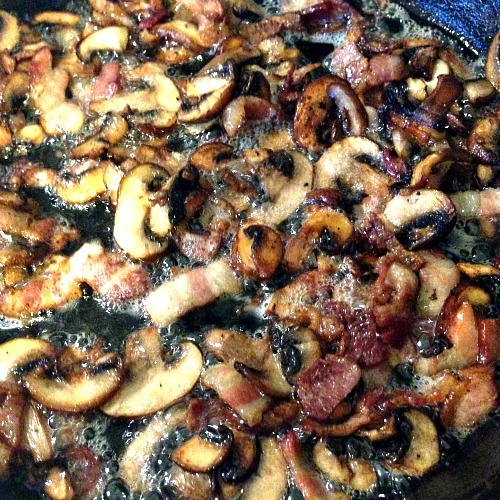 In a large skillet add the bacon; cook until just a bit of the fat releases then add in the mushrooms. Cook over medium heat until the bacon is crisp and the mushrooms are golden and caramelized. Once the bacon and mushrooms are cooked add the fresh garlic, salt and pepper; cooking just until fragrant about a minute. Next add the fresh spinach and cook for an additional minute until just starting to wilt; then remove from the heat and add the cooked quinoa blend. Toss quinoa together with all of the yummy toppings until evenly combined. 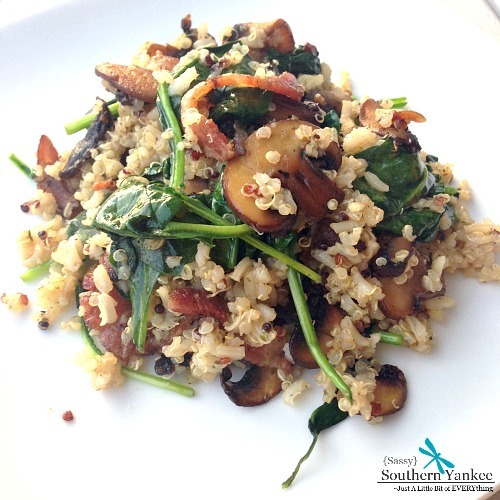 Bacon, Mushroom and Spinach Quinoa is the perfect weeknight meal. smokiness from the bacon pairs perfectly with the caramelized mushrooms and fresh spinach. This entry was posted in Main Course and tagged 30 Min Meals, allergy friendly, Bacon, Busy Moms, Dairy Free, Gluten Free, Healthy, Healthy Dinners, Mushroom, Quick Meals, Quinoa, Rosemary, Spinach, Weeknight Meals.